The best way to have a healthy body is by eating a healthy diet and following a good exercise regimen. If you exercise regularly and then gorge on junk and high fat foods you are not going to have a healthy body. For having a fit body you need to eat nutrient rich foods in conjunction with maintaining a healthy lifestyle. We all know that some foods like fresh organic vegetables and fruits, nuts, lean meat and fish are good for our body. But there are some foods that are so nutrient rich that they are known as superfoods. Consuming these foods can help you not only to have a lean and fit body, but they will improve your body's resistance and help to prevent lifestyle related diseases like heart diseases, high blood pressure and diabetes. Here we are going to discuss the top 10 healthiest foods that you can eat to keep yourself healthy. Remember that this healthy foods list is just an indicative list and there is a lot more foods that are healthy. When we talk about the top 10 healthy foods we mean foods that are power packed with nutrients to keep the body healthy. Incorporating these foods in your diet, will help you to boost your immune system, fight against diseases and help you to stay slim. These foods contain more nutrients like omega 3 fatty acids, antioxidants, dietary fiber, vitamins and minerals per calorie than most other foods. Salmon is one of the richest source of omega 3 fatty acids and vitamin D. Omega 3 fatty acids is required for proper functioning of the body and it helps to prevent inflammation of the arteries that lead to heart diseases. It also helps in maintaining skin elasticity and improves insulin resistance. The best way to have salmon is by poaching or grilling it in a minimum amount of oil to preserve the nutrients present in it. If you are looking to lose weight, then eat two servings of salmon fillet a week. Omega 3 fatty acid in salmon slows down the rate of digestion, making you feel fuller for a longer period. This helps you to eat less for the rest of the day. This makes it one of the top 10 healthiest foods for losing weight. Nuts are one of the top 10 healthiest foods to eat and they should definitely be included in your diet. But before you reach for that packet of salted peanuts, you should know that nuts are high in calories. So, moderation is the key in reaping its nutritional benefits. Nuts like walnuts, almonds, hazelnuts and pistachios contain polyphenols which lowers LDL cholesterol. It also contains omega 3 fatty acids and amino acids that protect the heart and helps in reducing the risk of high blood pressure and diabetes. As I have mentioned earlier, to get the health benefits of nuts, you should have them in moderation. Sprinkle sliced almonds and walnuts over your favorite breakfast cereals or a cup of low fat yogurt. This cruciferous vegetable is full of vitamin A and vitamin K. It also contains phytochemicals namely sulforaphane and diindolylmethane which help in preventing cancer. Vitamin K in broccoli is essential for the body since it is required for clotting of blood. Eating broccoli also helps in preventing heart diseases and significantly lowers the formation of plague in the arteries. To preserve the nutrients in broccoli, lightly steam them and serve them as side dish. One of the top 10 healthy foods for your body is garlic. Garlic contains allicin, which is an important phytochemical that helps in lowering blood pressure and also cuts down the risk of having ovarian cancer. Garlic also strengthens your body's immune system and helps it to fight common cold and allergies. To gain maximum benefits of garlic, crush or cut garlic cloves and let it stand for about 10 - 15 minutes before adding them to your food preparation. Avocado has acquired a reputation for being high in calories and is a strict "no no" for people trying to lose weight. But the fact is that avocado is packed with heart healthy monounsaturated fatty acids (MUFA). Monounsaturated fats lower LDL cholesterol (bad cholesterol) and increases HDL cholesterol (good cholesterol). It also helps in absorbing essential nutrients required for proper functioning of the body. Avocados also contain vitamin E, fiber, folate and potassium. For people who are trying to lose weight particularly belly fat, eating MUFA rich foods such as avocados will help in reducing weight. But since they are high in calories, a single slice of avocado in salads is sufficient. Berries like blueberries and raspberries are packed with powerful antioxidants called polyphenols. These antioxidants help in reducing the risk of heart diseases and diabetes and also help to lower levels of LDL cholesterol. It boosts memory and helps to prevent urinary tract infection. It also contains dietary fiber and vitamin C. Consume organic berries and use them in smoothies and fruit salads. Beans are high in fiber, calcium and proteins. Unlike animal protein that is high in fats and calories, beans are a healthy source of protein that are low in saturated fat. It lowers cholesterol and helps in keeping blood sugar levels steady. Recent research has shown that consuming beans can help in reducing the risk of heart disease, high blood pressure and diabetes. Spinach is a rich source of iron. It also contains high amount of folate and lutein. It helps in lowering cholesterol level and prevents the formation of plague in the arteries of the heart. Getting adequate amount of lutein in your diet is also vital since it helps in lowering the risk of age-related macular degeneration. Consuming sufficient amount of folate is extremely important especially for pregnant women since it helps in preventing birth defects. The best way to have spinach is by adding them in salads, soups or lightly sautéing them in olive oil. Avoid overcooking spinach as it loses a significant amount of nutrients when it comes in contact with heat. These red fruits are the best source of lycopene. The yellow substance inside a tomato is rich in lycopene which helps to prevent inflammation of the arteries and heart diseases. Recent research have shown that lycopene can also help in reducing the risk of breast cancer in women. To get your daily dose of lycopene, have roasted tomato and tomato rich gravies or add raw tomatoes in salads and sandwiches. Many people discard the inside of tomatoes. But for reaping the benefits of tomatoes, you should add the inside of tomatoes to your dishes. Oranges which were considered as an excellent source of vitamin C has been edged out by the humble guava. This lush tropical fruit contains 5 times more vitamin C than an orange. Vitamin C is required for boosting the immune system and maintaining skin elasticity. It also contains lycopene which helps in reducing the risk of heart diseases and inflammation of arteries. The best way to have guava is by making a smoothie with low fat yogurt or soy milk and a spoonful of organic honey. 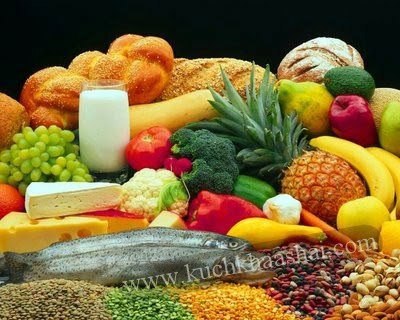 Eating a balanced diet which comprises these foods can help you in attaining a fit body. All fresh produce should be organic and prepared in a healthy way to reap its full benefits. Some other healthy foods are olive oil, oatmeal, tofu, flaxseed, dates, red peppers and sweet potatoes. Incorporate these superfoods in your daily diet for a healthy mind and body. If we take a small glance across the world wide web and several fitness books, conflicting notions, fad diets and routines may pop up leaving us wondering about what are good nutrition plans indeed made up of. To be very honest, many of us are unaware of what we are supposed to eat and whether what we eat every day is correct or not. Comically, we can divide the world into three parts, people who are hell bent on losing weight and maintaining a sharp size zero figure. The second part consists of the ones who exercise a lot and think that they have a perfect diet, and the third ones are the people who are aware of their weight but are foodies. Well, one philosophy which I find rather good is eat, enjoy and have a laugh about it (well in moderation). The second approach is the one which is probably the best one and has stood the test of time, is the cultural approach. If you want a good nutrition plan, then the diet of our culture or rather the culture of region in which we live is the best. A diet which is based upon our culture is the ideal one among all the nutrition and diet plans. The reason that makes a culture oriented diet the best one is simple enough, the food intake is in accordance with the geographical factors of the region such as climate, which suits the body best. Apart from that, such a diet is inexpensive and also quite easily found, not mention that it is fulfilling. Last merit, it's always delicious. Coupled with a good volume of exercise such a nutritional plan will help you to put your diet cycle on track. The idea of following a culturally developed diet was a pointer. There are, however, 4 integral aspects of following a diet, nutrition, proportion, total quantity and finally timing. In short a healthy eating plan should have all food nutrients in proportion and the volume of this nutritious meal should have a proper timing. 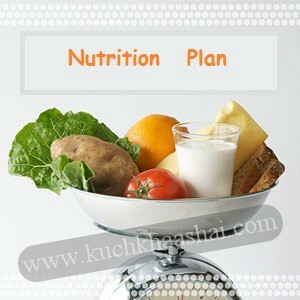 Here is a table that signifies all the 4 features of a good nutrition plan. The nutrients and portion of a balanced diet, also tend to change as per the seasons as the climate does significantly affect the dietary requirements of the diet. Every nutrient has some or the other significance in the diet. Broadly speaking, there are three categories of nutrition, namely the ones that are macro nutrients, energy and building substances and metabolism catalysts. The macro nutrients include fats, carbohydrates, vitamins, minerals, carbon, some components such as oxygen. These components of diet are required by all people in every day diet and should not variate. The second type of components include, energy providing and body building substances, namely, fats in small quantities, proteins and carbohydrates. A good nutrition plan for athletes lays emphasis on these substances. The third type which supports metabolism which include, vitamins and minerals. A good nutrition plan to lose weight lays emphasis on this class of nutrition. The aforementioned table is applicable to average grown up people. Appetite stimulants for children refer to all the three aspects. Hence you may adjust your diet as per your requirement. Hence, if you need to increase weight, then you will have to increase the energy giving and body building elements in the diet. Thus, increasing fat and protein intake and maintaining the intake of metabolism supporting nutrition is also a good choice. Similarly, to lose weight you will have to reduce the intake of energy giving and body building nutrients and increase the intake of metabolism supporting nutrients and start eating healthy food. Apart from that a healthy workout routine will also enhance your weight loss. Exercise, after all is synonymous to a good nutrition plan. Good luck. If you wish to lead a healthy lifestyle, it is essential to eat nutrition rich food and exercise regularly. What you eat directly affects your body fitness, so it becomes all the more necessary to be aware about the number of calories in Indian food and the nutritional value of the food you are eating. 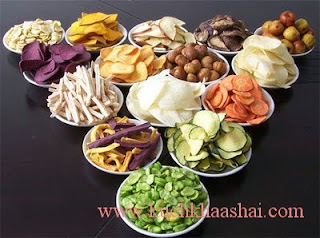 It is advisable to consult a dietician and gather knowledge about the Indian food calories and then decide your meal. Eating high calorie food item is not recommended for the daily meal, but you can always relish them once in a month or so. If you get lured into trying fad foods, which you know contain loads of fats, then you can consume it once in a while, but in moderate quantity. But then after that you have to gear up yourself for doing a vigorous workout, so as to shed off those extra calories that have got stored in your body. It's all about maintaining a balance and you will never put on weight. If you've eaten more, so compensate it, by eating light food in the next meal and by working harder, while carrying out your workout. Keeping fit is in your hands, but all that is required is a sincere effort and then nothing can stop you from achieving success. As vital is to eat healthy foods, that are low in calories, equally important is to apply the right cooking method. You should avoid items that demand deep-frying, because then that would involve extensive usage of butter and oil, that will shoot up your calorie intake, making you overweight. Here is the calorie chart of Indian food, so keep a track of the calorie intake and adopt healthy eating habits. Olive oil is a type of vegetable oil, obtained by crushing and pressing of olive fruits. Based on the production process and constituent ingredients, there are several grades of olive oil. When we say extra virgin olive oil, it refers to the less processed, flavorful oil having a pleasant aroma, which contains 0.8 percent free fatty acids. A highly demanding oil in the market with several health benefits, health conscious people are interested in knowing extra virgin olive oil nutrition facts. The application of extra virgin olive oil is not limited to culinary practices alone, but it is widely used in cosmetic products, alternative medicine and pharmaceutical industry. So, you can expect the market demand for this vegetable oil. When used for consumption purpose, it doesn't disturb the balance between omega-3 and omega-6 fatty acids. And if you are interested in including this oil in your daily diet, the following info on extra virgin olive oil nutrition facts will interest you. Whether you refer to regular olive oil or extra virgin olive oil, the calorie count remains nearly the same for all brands. Serving 1 teaspoon of extra virgin olive oil is equivalent to 60 calories. The total calorie comes from fats, which account to about 7 g of the total oil weight. Isolated from the first pressing of olives, the nutritional value of extra virgin olive oil is higher than other olive oil grades. While explaining the nutrition facts for extra virgin olive oil, the two main attributes are high monounsaturated fatty acid content (basically omega-9 essential fatty acid) and presence of antioxidant agents in high amounts. The primary fatty acids isolated from olive oil are oleic acid and palmitic acid. Other beneficial constituents of this vegetable oil are squalene (a hydrocarbon precursor for steroids), sterols, vitamin E and carotenoids. Other than the fatty acids and antioxidants, olive oil lacks vitamins A and C, carbohydrates, proteins, fiber, calcium, iron and other trace minerals. On a positive note, extra virgin olive oil nutrition facts clearly signify the absence of cholesterol and sodium, which are the two major restrictive ingredients for people with coronary heart disease. In simple words, this olive oil is good for heart patients, and people who are prone to cardiovascular diseases. Read more on olive oil nutrition facts. In contrary to other fatty foods, the health benefits of olive oil are attributed to the fat content. This indicates that not all fat rich foods are unhealthy, but it is the type of fats present in them, which determine whether the food items are healthy or not. The monounsaturated fatty acids isolated from olive oil are essential for normal functioning of the body processes. These healthy fats are effectual to lower bad cholesterol (LDL), while helping to increase the good cholesterol (HDL) level in the blood. 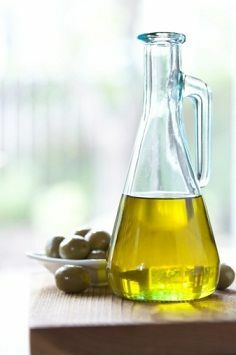 According to studies, it is found that taking 2 tablespoons of extra virgin olive oil daily for 7 days reduces LDL level notably. At the same time, the amount of antioxidant level is increased significantly. Giving due respect to extra virgin olive oil nutrition facts, its cardioprotective ability comes from the phenolic content and essential fatty acids. The effectiveness of olive oil in minimizing the risks of heart diseases is also evident from the fact that, stroke and heart attack incidences are low in regions where olive oil and olives are consumed on a wide scale. So, aren't extra virgin olive oil nutrition facts interesting? No doubt, olive oil calories are moderately high, and you need to adjust the food menu along with the serving amounts accordingly. But, the components that contribute to the calorie count of extra virgin olive oil are essential fatty acids. So, there is no harm in consuming a certain amount of extra virgin olive oil everyday, unless the daily calorie requirement is not exceeded. Fenugreek tea = weight loss, better immunity and overall health. These are all the advantages that fenugreek offers. In the following article we will look through some of the other advantages that fenugreek tea leads to. Fenugreek, (foenum-graecum) is a type of herb that is a native of the Mediterranean region. The benefits that this herb offers are vast, and range over a wide platform. Fenugreek has been used as a cure for some of the most common ailments that man suffers from. That's the reason why this herb has been a part of several cultures as a popular herbal remedy. One other advantage that it offers is that it can be used in several forms, one of the most common forms of which is fenugreek tea. Weight loss, diabetes, skin inflammation and several other ailments is what this tea helps cure. In this article, we will focus on the aspects of fenugreek tea for weight loss and the overall health benefits that it offers. 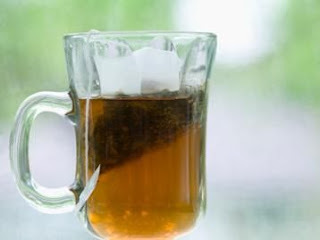 There are several advantages that fenugreek tea offers, in that way fenugreek tea for fitness is a great choice to make. Not only are fenugreek tea, weight loss and other ailments closely related, it is also one of the simplest ways to pack some great nutrition in you. Let us study these fenugreek benefits more closely in the remainder of this article. Fenugreek is a powerhouse of several nutrients that read like so - it is infused with Vitamin C, protein, alkaloids, niacin, diosgenin, potassium, iodine, chromium, selenium, phosphorus, magnesium, molybdenum, silicon, sodium, sulphur, zinc, iron and manganese among others. With so many nutrients infused in one, the fenugreek tea benefits for health that it offers are several. Weight loss and obesity control is one of the main reasons for why fenugreek tea has been used in the recent times. This works out as a great way to get weight loss in, 'coz it is one of the safest and simplest ways that fenugreek tea for obesity can be brought into the picture. Why is fenugreek tea for weight loss known to lend such great results? Fenugreek tea leads to a cleansing effect on the body by increasing sweating and causing proper bowel movements. With the body being cleansed, the digestive tract is freed of all the waste and toxins and therefore the digestion process is improved. This automatically lends to weight loss. Other than that, it also improves the bowel movements and furthers the weight loss process. There is a third way in which fenugreek tea leads to weight loss - fenugreek tea has been known to act as a suppressant and therefore curbs the appetite, which then automatically leads to weight loss. Fenugreek tea for diet is therefore used as a regular phenomenon, with great results. Fenugreek tea is also known to lead to blood purification and improving the quality of blood, thus circulation improves and leads to weight loss as a result. Other than that, since fenugreek tea lends for so many advantages that affect the whole body, it improves overall health and leads to weight loss automatically. * Fenugreek tea is one of the best remedies for several ailments that affect women's health. It helps in regulating the hot flashes that women experience during menstruation and PMS. * It helps in improving heart health by lowering the cholesterol and keeping the blood pressure in check. * It improves blood circulation and enhances the blood quality by lowering the blood sugar. * It treats several skin disorders and ailments that affect a person. These run into boils, eczema, acne, burn, inflammation and gout. * It also helps in keeping the joints strong and lowering the pain that can sometimes ensue. * It helps in lowering heartburn and acid reflux which can cause problems in digestion. * It increases the libido in both men and women. * It is especially advantageous to pregnant women because it helps in inducing labor as well as easing it. It also increases the lactation rate in a woman after the birthing and helps to provide nutrition to the baby. Read more on fenugreek for lactation. These are some of the advantages that fenugreek tea offers and in that way leads to overall health and thereby weight loss. Read more in this Buzzle article on how to make fenugreek tea. Fenugreek tea recipes are simple to get down to and with so many advantages that are offered, it seems like a pretty great way to get healthy. After all, fenugreek tea, weight loss and the several other advantages that it offers is something that does not come by easily. So I say you take advantage of that and go brew for yourself some fenugreek tea.